The program could give Cadillac a larger presence among drivers in major metropolitan areas such as New York, where the brand is based. Cadillac will launch a new “vehicle subscription” service next month that allows customers access to its vehicles for a flat monthly rate, no financing or leasing required. The Book by Cadillac service will launch Feb. 1 for drivers in the New York metropolitan area, spokesman Eneuri Acosta said today. Members will be able to request various Cadillac models through a smartphone app for a flat rate of $1,500 per month, including registration, insurance and taxes. 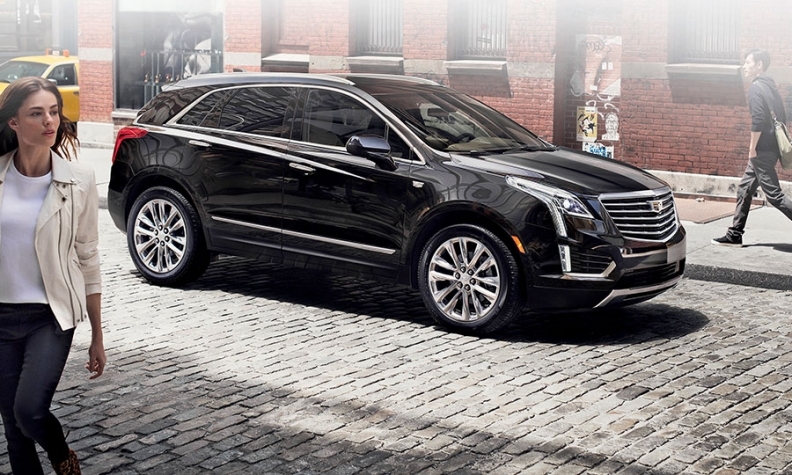 The requested Cadillac model will then be delivered to the user’s requested location via concierge and can be exchanged at the user’s convenience, according to a news release. The program could give Cadillac a larger presence among drivers in major metropolitan areas such as New York, where the brand recently relocated. Acosta said Book provides those drivers in urban markets drivers with flexibility, a key in cities where parking is limited and public transportation is robust. For instance, drivers could request an Escalade SUV to keep on hand during the summer months for road trips before exchanging it for a smaller car for city travel the rest of the year. “We think there’s a white space between the leading and financing models of the world and new sharing models,” Acosta said. As residents in densely populated cities increasingly turn to car-sharing services, luxury brands such as Cadillac have been experimenting with new vehicle usage models. For instance, Audi launched a pilot program in Berlin in late 2014 that allows customers access to several models that could be rotated over a 12-month period. It also launched a San Francisco pilot program called Audi On Demand that drops off and picks up rental vehicles at locations pre-set by the user. Acosta said Cadillac, which introduced a pilot program for Book last year, found that users are mostly interested in using Book as a secondary mode of transportation, with a vehicle they own or public transit remaining their primary way to get around. “Book by Cadillac is an innovative new option targeted at a growing class of luxury drivers searching for access to various cars over time, dependent on their individual needs, coupled with a hassle-free white-glove exchange,” Uwe Ellinghaus, Cadillac chief marketing officer, said in a statement today. Book users will have access to Platinum-level XT5 midsize crossovers, CT6 sedans, Escalades and V-series performance cars. The number of vehicles available for use will be “limited at launch” but will expand over time, Acosta said. Cadillac said it plans to expand the Book service beyond the New York market in the future. Acosta declined to discuss which markets the luxury brand is examining or how soon it could expand. Separately, Cadillac said its global sales gained 11 percent in 2016 from a year earlier to 308,692 units, the brand’s best annual performance since 1986. The gain was driven in large part by a 46 percent rise in China sales to 116,406 units. Sales in each of the brand’s three other major markets -- the U.S., Canada and the Middle East -- declined, including a 3-percent drop in American deliveries to 170,006 units.